This summary of Ernest Gundling's book, "Working Globesmart" outlines the 12 skills that Gundling believes anybody venturing into global business should possess. Business has no boundaries today and working in a multi cultural environment is the norm. There are several important factors that ensure that business relationships between different cultures are a success. A good partner, an investor friendly environment, a flexible and fast learning team of professionals is just some of them. However, many a time these ventures fail for a reason that should be the foundation of any business relationship: People skills. Failure is generally blamed on lack of quality, or partners not grasping the process adequately or general expectations not being met. However, the way in which one communicates and relates to the people one works with is critical. We are familiar with the norms of our own business cultures and tend to presume that what works for us works everywhere else too. This "arrogance" can lead to miscommunication that can cripple any business venture. Ernest Gundling, in Working Globesmart, explains 12 guidelines that will help any manager in today's global business environment to respect different cultures and reap the most out of multi cultural business relationships. These "rules" are divided along three areas of interpersonal skills, group skills, and organizational skills. Gundling explains how global skills are built on the foundation of strong personal relationships, which take time to develop. When working with people from a different culture one has to establish credibility, handle feedback, get information, and evaluate people in a way that is sensitive and tolerant. Gundling illustrates through effective examples how Western cultures are more straightforward about accomplishments and success. However, in other societies like Taiwan, Singapore, and Malaysia being so open about achievements is considered arrogant, as others will usually extol your virtues. It is better to show that you are aware of the appropriate behavior. Once again in Western cultures, feedback in the form of verbal and immediate communication, which is directed at a particular person, is favored. However, Gundling explains how expectations of this sort of feedback will make one miss more subtle and nonverbal signals. It is important to consider different forms of feedback like nonverbal, periodic, feedback given at a different place, and feedback targeted at a group rather than a specific individual. Gundling emphasizes the importance of local standards when it comes to evaluating people. He gives an effective example of how he misjudged an Indian colleague simply because he dressed and acted differently from the way Gundling was accustomed to in his work environment. He later realized that just because his colleague conducted himself differently did not mean he was not contributing value. Business relies on working with individuals as well as with teams. Gundling emphasizes a difference in approach when managing global teams where there are people from different cultures. Since global teams have members from diverse backgrounds there are bound to be a variety of views and perspectives. In order to make the team work together it is essential to develop a shared context where there are common and mutually acceptable styles for decision making, problem solving, roles and responsibilities, and a team vision. This will help bind the team together. Credentials - What credentials are important to the trainees and how will they try to gain information about them? Formality Levels - What levels of formality do the trainees expect from their trainer? Agenda - How strictly is the trainer required to adhere to the agenda? Discussion or Debate - How will an audience challenge a presenter and how prepared is the presenter to defend claims made during the presentation? Group size - Are the trainees more comfortable discussing and presenting within a small group or to an entire audience? Tests - Do the trainees want to be tested? In Western cultures employee development involves a manager assigning a task to an employee and giving them the space to complete it on their own asking for advice when they may need it. However in other cultures this may not work as well and Gundling advises managers to establish standards through personal example, expect employees to approach you with problems, and to be approached about personal as well as business matters. Managing performance is also tricky and one has to make employees understand that performance is evaluated strictly on an objective basis. A clear system needs to be devised with quantitative measures and frequent informal feedback to ensure a culture of openness. Selling is particularly difficult in alien cultures as people are always more comfortable with sellers who speak their own language. Initial Contacts - In many places methods of introduction such as telemarketing, e-mail campaigns, and advertisements, are ineffective as trust here is established with an introduction through a mutually respected third party. Discovery - Learn about how communication is carried out and be ready with responses to behavior like customers being more comfortable with personal questions than with business questions. Relationship selling - The sale does not signal the end of a relationship but rather the beginning. Be prepared for it to develop into a more interconnected one of mutual obligation. It may be difficult for some to comprehend as these obligations are much more than what is expected of business partners. Customer Concerns - Learn to understand non verbal communication or less direct forms of communicating as many customers would be uncomfortable to discuss problems with foreigners who they may tend to treat as guests. Persuasion - Cultures which use a more direct form of communication which relies on verbal ability to persuade will be lost in an environment where this is just one of the factors. Nonverbal communication, contextual clues, and getting your point across with the helps of middle men and higher status people are just as important. In countries where consumer prices are negotiated it is difficult for business people from countries with fixed prices to have an edge. A lot of these cultures treat negotiation as an art form and it is a part of their heritage. In these situations, Gundling advises being firm and certain of one's bottom line and never giving a concession unless receiving one of equal or grater value in return. Once these skills have been understood and internalized then what must be determined is how to adapt one's own corporate culture to the business environment abroad also. Moving from a plan of action that is suited for one environment to a plan that makes sense elsewhere, is a challenge. If the new environment is one where relationships are important then Gundling advises a deliberate relationship strategy linked to one's business plan. This would be the best way to gain access to key customers, collect market information, protect intellectual property, or win government support. Gathering knowledge involves gaining the trust and cooperation of the knowledge holder. In order to convey knowledge effective look for ways to create a pull factor and make sure that information is shared horizontally and vertically. Look for ways in which to reinforce accountability through personal relationships and concrete systems for data collection, evaluation, and rewards. Generate new knowledge by cultivating local leaders who completely endorse the new practices. Do not allow cultural differences to be used as an excuse for poor performance. All the areas in an organization like individual behavior, teamwork, management practices, organizational systems, and culture should be aligned to foster innovation. Incentives must be provided for employees to try out potentially lucrative ideas. Often change initiated at corporate headquarters is resisted at local offices abroad. Gundling writes about how companies often get trapped in what he terms the "Foreign Capital Company Syndrome." This negative circle involves unsuccessful discussion, imposed change, resistance, and ultimately poor results. Gundling advises companies to follow the "Virtuous Cycle" where effective communication, assessing capabilities accurately, local input, joint development, and other positive approaches lead to a mutually beneficial relationship. Also choosing an approach or approaches that would be appropriate for different situations is important, rather than trying to keep everyone happy. Standardizing systems so that there is something common is advisable. 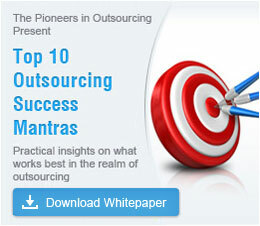 Outsource2india is a leading outsourced services provider headquartered in Bangalore. The management of Outsource2india has succeeded in internalizing Gundling's 12 guiding principles for venturing into the global marketplace. A special focus on the organizational skills that Gundling mentions; strategic management, knowledge sharing and innovation, has helped us build a great team and a unique organizational culture. Read about Outsource2india's corporate training solutions and comprehensive Photo Editing Services. Contact us Outsource2india to outsource your Research and Analysis services or to leverage Outsource2india's superior Software Service skills. Gundling believes that if these 12 guidelines are followed by business people it will help to cultivate more "global citizens" and successful multi cultural business relationships. And it is not difficult to see why. These guide lines are based on respect, tolerance, listening and observing, and creating an atmosphere of openness and inclusion. A definite formula for success in a global world. Read more about us and about how we work at O2I to deliver value in outsourcing solutions to our global clients.